Inc. The Dow Jones industrial average dropped about 300 points. troubled insurance giant American International Group. business in the central bank’s history. because it effectively puts taxpayer money at risk while protecting bad investments made by A.I. G. and other institutions it does business with. securities, and that in turn would have reduced their own capital and the value of their own debt. 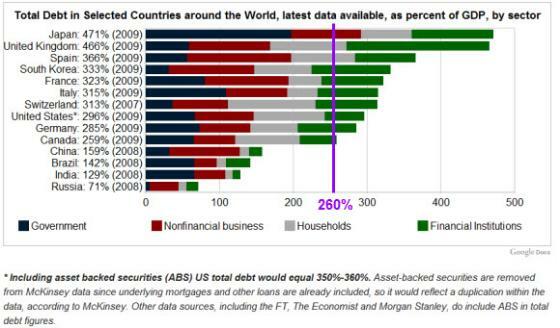 returned about the extent of harm to the global financial system. over who is to blame for the financial crisis that prompted the rescue. sum." Ms. Pelosi said the bailout was "just too enormous for the American people to guarantee." in Congressional hearings. President Bush was briefed earlier in the afternoon. A major concern is that the A.I.G. rescue won’t be the last. At Tuesday night’s meeting. Mutual, the nation’s largest thrift. Chase that left taxpayers on the hook for up to $29 billion of bad investments by Bear Stearns. others to seek bailouts, and the eventual costs to the government would be staggering. would try to shore up confidence by cutting rates once again. then another regularly scheduled $20 billion were injected in temporary reserves. assessment of the country's financial and economic troubles. the Fed will hold its key rate steady at 2 percent. mortgage-backed securities claimed more Wall Street giants. of America. Now, the insurance giant American International Group is dangerously wobbling. spending by consumers and business, a factor in the slowing economy. system through open market operations. 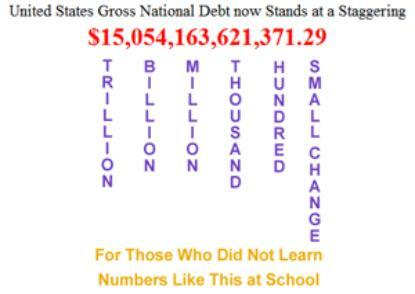 at Washington Mutual and the national debt has reached $10,647,917,555,364.39 . important reports will now be added. job cuts with an unemployment rate of 6.7% and rising. Fed says it will buy mortgage-related assets. backed assets in another attempt to deal with the financial crisis. unfreeze the market that backs consumer debt such as credit cards, auto loans and student loans. credit protection provided by the $700 billion bailout fund. mortgages and mortgage-backed securities would take place over a number of months. push the country into a deep recession. pledge to work together to tackle global economy, undergoing its worst upheavals in decades. Citigroup to cut another 53,000 jobs. President Bush wants $25B in loans released to U.S. car-makers. Euro sinks into recession for first time. cause, even among the 'big players', why have we not so far heard the word 'GOLD' ? General Motors stock has sunk to the lowest level since WWII. Oh, how the mighty have fallen. even survive until Obama gets in office. Paulson urges quick action on $700 billion bailout. Thats written: $700,000,000,000.00 Spoken: Seven hundred thousand million dollars. America's financial crisis: The Party is Over. Its the end of an era and the beginning of another. Stocks sink after government bailout of A.I.G. Fed pumps $70B into nation's financial system. Fed’s $85 Billion Loan Rescues Insurer A.I.G. President Bush Says The Economy Is Sound As Inflation Rises To Record Levels. 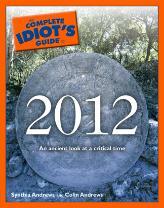 The Complete Idiots Guide to 2012 - published October 2008.
what it means to them, and much more. so each citizen's share of this debt is $34,845.60. $3.95 billion per day since September 28, 2007! the United States economic collapse two years ago. Watch video of interview. The increase debt in 24 hours is of bewildering proportions. than the banks theft of our billions? then back up to 800 or so pages. tungsten within the confines of LBMA approved vaults in Hong Kong. Why Tungsten? ………Whole article: http://news.goldseek. How and why this prophecy is different - its based upon science and intuition. to the threat of a fast-spreading financial panic. wake of the Lehman Brothers failure." following overseas gains in Britain, Germany and France. International Monetary Fund would be wrapped up in a few days. and Europe to address Greece's economic difficulties." money that helps fund their own lending to businesses and consumers. Clinton will meet with their counterparts for talks in Beijing. their banking systems, which sends their own debt burdens soaring. when the country was still paying off the debt run up to fight World War II. the IMF said in an economic survey released last week. panic and the Great Recession, but now they have to figure out how to pay for it." debt loads, they enjoy advantages in financing that debt that Greece does not have. Japan's ability to fund itself. The rest of Asia is on sounder financial footing, especially considering its rapid growth. and the level tops 50 percent of GDP, he said. still not a very alarming number," Orlik said. markets being hammered this week, in line with deep share declines in Europe and the U.S.
crisis in Europe could make it harder for banks to access credit. Rod McGuirk in Canberra, Australia contributed to this report. A Special Report on Debt. itself has become the problem, says Philip Coggan. Excellent report. today is where we have reached - watch below. 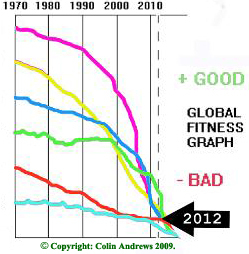 over the long haul, across the entire soon-to-be energy-starved globe. saying, Anything that can't be fixed, won't. that undergirds them collapses into utter worthlessness, allowing the cycle to begin anew. rather painfully scrubbed clean. It's a very normal and usual process. brink all that much faster and harder. would allow us to return to business as usual. all kinds of grotesque distortions, of which housing is perhaps the most visible poster child. horizon, let alone at the ready. money system itself is in danger of failing. familiar to any site members, it's because you've seen it before. 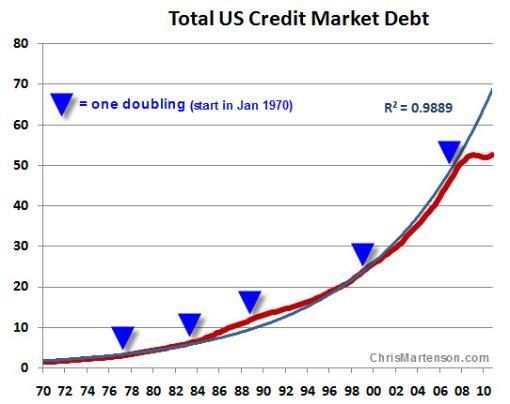 will need to double again, from $52 trillion to $104 trillion. China warns U.S. debt-default idea is "playing with fire"
forces the White House to slash spending, Reuters reported on Tuesday. considered a rallying point for the largely leaderless group -- to Foley Square near City Hall. Their messages, however, have remained wide ranging, if not ambiguous. systems, while others appeared content to simply get caught up in the spirit of demonstration. a conversation about inequality............ source.